Jammu and Kashmir is one of the most highlighted states of India that draws lots of travelers due to its natural vistas and unbounded beauty. Whether it is for tourism or for pilgrimage, people come here in large numbers, every year. Travelers arriving in this state can be classified into two categories, i.e. middle class and upper class. Often we see travelers come here in large groups or family to see natural beauty and shrines of Jammu Kashmir. Accommodations are the prominent requirement for such people coming here to witness the beauty and sanctity of this state. Travelers always lean towards best and equally affordable stay while arriving at such tourist destination. The state offers them all with its accommodations ranging from cheap hotels to luxurious 5 star hotels. 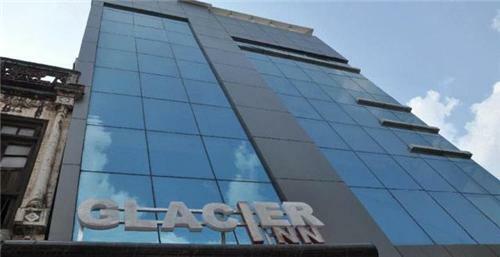 Luxurious yet affordable, Hotel Glacier Inn is one of the superb places for accommodations in Jammu. Situated in the heart of city, it is easily traceable due to its location at Hari Market. It is bestowed with all major facilities including full wi-fi connectivity. It is placed at a distance of 4 km from Jammu airport while railway station is convenient to turnout in the vicinity. Raghunath temple is the nearest tourist destination that can be easily visited from Hotel Glacier Inn. 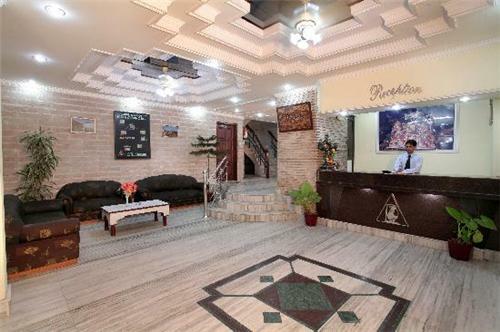 Relax Hotel is another reputed budget hotel located in the city of Jammu. The hotel has its placement in upper Gummat near Raghunath Bazaar in Jammu. Though, it is cheaply priced, but without any compromise on luxury and services. It has 12 well appointed rooms with exquisite amenities. It is situated in amidst of market from where it is easy to reach any tourist attractions in the city. The Gem Lodge Hotel is one of the good budget hotels in Jammu. Located in the area of Panj Bakhtar Road, it is one of the oldest lodging services available in city. The hotel is offering enchanting view of antiquity along with all modern and lavish facilities. It is equipped with 20 well established rooms showcasing magnificent views of the valley. In the hospitality industry in Jammu Kashmir, Maruti Hotel is an impressive option for travelers. It is one of the best comfortable accommodations found in the city along with its affordable prices. Its apt location and magnificent surroundings are the most attractive features of Maruti hotel. Being placed at walking distance from railway station makes it convenient for travelers arriving by train. However airport is also not far away. It is just 5 minutes drive away from this hotel. Bahu Fort, Bagh-e-Bahu Aquarium, Kalakendra, and Peerkoh Shiv Temple are easy to trace from this hotel. Hotel Gulfam is placed beside the stream of Jhelum off National Highway 1. It is beautiful location with flawless facilities for comfortable stay in Srinagar. The paradise city is easy to explore from this magnificent hotel. Market place, local sightseeing, and restaurants are found in the vicinity of Hotel Gulfam to explore the insights of city. Jamia Masjid, Chasma Shahi, Hari Parbat Fort, and Dal Lake are easily accessible from here. Hotel Derock Inn is situated off the banks of River Jhelum in the region of Srinagar. It displays the beautiful sights located near the hotel. Quality assurance, power backup, hygienic food, leisure facilities, and dedicated team of service are the key features of Hotel De Rock. Proper arrangement of warm clothes is available to escape from cold climate. Its coziness and relaxed ambiance steals heart of guests coming here. Main attractions and spots Srinagar are easy to access from this hotel. Living amidst the nature is the dream of every traveler coming to this state. 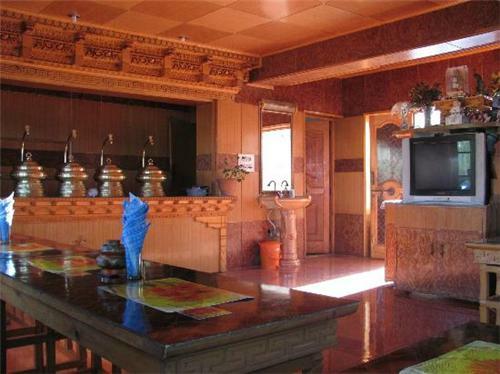 Padma Guest House is the traditional accommodation with ample beauty and natural establishments. Subtle designing and magnificence of nature makes this location perfect for spending holidays. Facilitated with all major and minute services, Padma Guest house in Ladakh comes with affordability. It is situated on Manali Leh Road. It is easily reachable by Road and Air transportation. For complete luxury and comfort amidst the valleys and landscapes of Leh, this hotel is an excellent option. Positioned on Fort Road of Lower Tukcha region of Leh, Hotel Kidar has 15 rooms infused with modern amenities. They offer 24 hours room service, cable TV, high speed internet, and guide service to the travelers. The hotel has many famous tourist attractions in its vicinity. For pure veggies, Hotel Swastik is one of the best places to stay in Jammu Kashmir. Jammu is the door of valley and it serve as base center for exploration of entire state. Centralized location, budget rooms, and exceptional facilities make it, a distinguished place of hospitality. It is 1 km away from general bus station, 5 km from railway station, and 6 km from airport. It is just 2 minutes drive away distance from Raghunath temple. Other major attractions of city are also easily approachable from Swastik Hotel. At the stroll away distance of 30 meters from Raghunath Mandir in Jammu, the beautiful and exuberant ambiance of Hotel Raghunath invites you. Its location in main market place of Jammu enables tourists to take deep exploration of entire area. Shopaholic people must stay here and enjoy tour of market place laid nearby. However, main religious attractions like Hari Ki Pauri and Kali Mata Mandir are also easily approachable from here. Railway station is located at 5 km while airport is at 7 km distance from hotel Raghunath. Vardaan Hotel offers full-fledged accommodation facilities located in the heart of city. 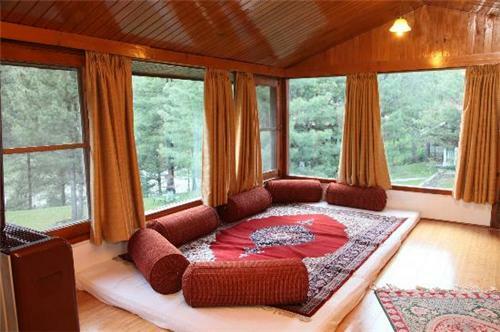 In Jammu, it is one of the renowned places to stay in low budget. Installed with 26 well established rooms, it offers well diversified options of accommodations to their guests. Business center, sports activities, travel desk, conference room, banquets are also incepted to facilitate visitors looking for comfort of amenities. The hotel offers best exit through state transport bus service. The bus station is located at stone’s throw away distance from Hotel Vardaan. 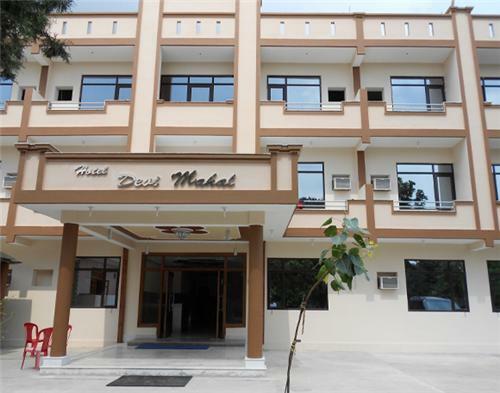 With its comfortable location near Katra New Bus Stand and railway station, Hotel Devi Mahal is a decent accommodation. It offers convenient and modern amenities to serve all categories of guests. Katra is primarily a pilgrimage. Hence, this hotel is infused with all facilities required by the pilgrims visiting here. It offers pick and drop facility for Banganga, transport bookings, doctor on call, power back up, and 37 well maintained rooms. Safeer Hotel is one of the relaxed home stays offered in the region of Srinagar. It is located in the magnificent atmosphere of valley beneath the rising mountains. Golf Club, Dal Lake, Museum and other such location are easily accessible from Hotel Safeer. It is perfect accommodation for those who are looking for extended stay in tranquil climate of Srinagar. It provides facilities like laundry, dry cleaning, airport drop/ pickup, restaurant, etc. This hotel is impressive due to its convenient location and affordable prices. For the pilgrims of Vaishno Devi, it is a preferable staying option for its proximity to the shrine. Apart from these, the hotel offers easy access to attractions like Shalimar Park and Raghunath Temple. Services offered here include express check in, vegetarian restaurant, business center, laundry, free WIFI, blackout drapes, etc. Alsabha Group of Hotels and House Boats is well known name in the hospitality industry of Jammu and Kashmir. Being the prime center of tourism, Srinagar witnesses large footfall of travelers. City remains flooded with tourists throughout the year. This hotel group provides wide range of accommodations where, budget rooms are the most highlighted ones. Centralized location, proximity to convenience, and easy accessibility makes this cheap accommodation, favorite for travelers coming to Kashmir. Located in the serene of Srinagar, Hotel Paradise is truly the place of comfort and luxury in the city. It is placed just near lake offering view of beautiful surrounding from its windows. It offers complete luxury of comfort and gives excellent relaxation in the lap of nature. City center and other main places are located just 5 minutes away from here. Visitors can take leisure walks around the lake while staying in Hotel Paradise in Srinagar. Amalgamated with all basic and high end amenities, it is one of the better places to stay in this city. Home away from home, this concept is incarnated into the hospitality of Hotel Victoria Palace. This hotel is crafted out in the serene of Srinagar to offer best accommodations to the visitors of state. Srinagar is one of the major tourist attractions of Jammu & Kashmir state that draws lots of tourists. 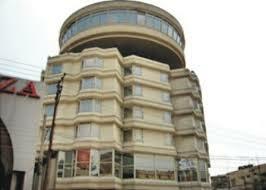 Budget hotel Victoria Palace plays effective role in accommodating travelers looking for low cost living. Along with providing excellent view of Dal Lake, it offers quality food and good services. 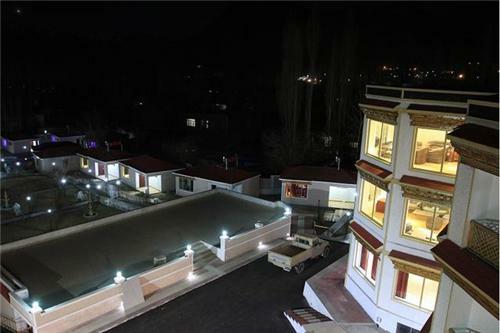 Located on the National highway, Hotel JH Bazaz is one of the recommended hotels of Srinagar. Its staff and management are well mannered and behaved to tackle taste of guests. World famous Dal Lake is just 10 steps away from the location. People staying here can grab views of lake almost every day. Walking through the pathways around the Dal is good way to unwind in Srinagar. Apart, well connectivity of wifi, cable TV and round the clock reception makes staying more comfortable. Cheshme Shahi, Parimahal, Shalimar Garden, Nishat Garden and other attractions are effortless drive away from Hotel JH Bazaz. 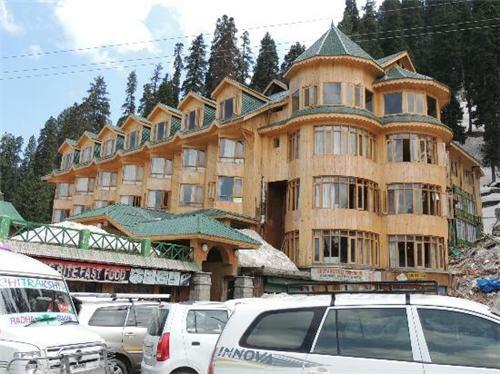 This budget hotel in Sonamarg offers modern facilities in this serene location. Located on the banks of Sindh River, it has dense pine forests and meandering meadows surrounding it from all sides. In such enchanting setting, this hotel offers services like restaurant, doctor on call, valet, car rental, etc. If you search a cheap accommodation in the beautiful environs of Pahalgam, Hotel Dolphin is suitable for you. It has 30 rooms with modern facilities to enrich your staying experience. There are facilities like Ayurvedic center, STD/ISD facility, trekking facility, kid’s play area, dormitory, camp fire, etc. This hotel located on the bank of River Sindh is your choicest staying option, if you love trekking and trout fishing. The hotel arranges the trips for both on your request. Also, it offers magnificent views of the valley. It boasts of 10 rooms that remain open all through the year. Also, there are services like laundry, room service, and internet. 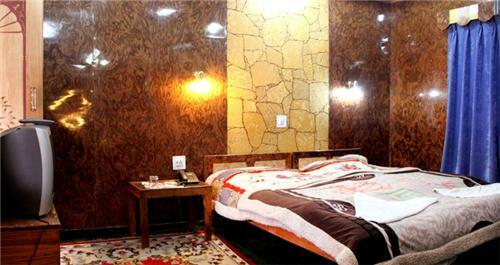 Hotel Jorchung offers budget as well as comfortable accommodations in the region of Leh Ladakh. It is well crafted in the mid of nature to give luxury and lavish living. It is found with well appointed 14 rooms along with facilities of cable TV, room service, internet connectivity, and airport transfer. Guests can easily admire the view of natural surroundings and beauty. Main market can be explored by taking 15 minutes walk from here. History recalls here! Overlooking the pristine view of Tawi River, Hari Niwas Palace Hotel is the evidence of grandeur rule of Maharaja Hari Singh in the region of Jammu. 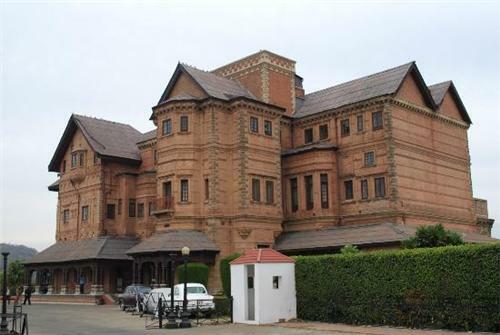 It was a palace for royal family in Jammu, but now converted into heritage hotel by successors of family. It is best place to reside in majestic way overwhelming with the royal treatment offered here. The cost of hotel is quite reasonable considering the value of hospitality and comfort given to guests. Patnitop is one of the attractive hill stations of Jammu Kashmir region. Therefore, this place is visited by lots of travelers throughout the year. Hotel Trinetar is incepted in this area to offer classy hospitality services to visitors at such difficult location. Staying here does not disappoint traveler who takes a ride of 110 kms from Jammu to reach Patnitop. Luxury service and facilities accentuate their satisfaction level. In house restaurant, 24 hour reception, comfortable accommodations, and lavishing décor certainly impress the guests coming here to Patnitop. 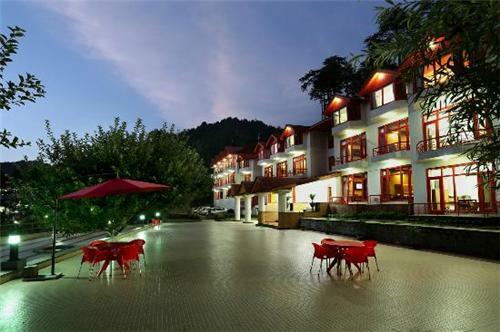 This hotel near Vaishno Devi shrine is best accommodation for people looking for affordability as well. It is conveniently placed and offers good services at cheap rates. The hotel has major attractions located nearby. Also, it has coffee shop, porter service, town car service, picnic area, daily housekeeping, and restaurant services. This hotel offers magnificent view of valleys and mountains through its windows. Position of hotel is such that attractions like Baisaran, Dabian, Circuit road, Golf Course, and other adventurist places of interest are situated at proximal distance. From this hotel, it is easy to access all tourist attractions along with enjoying river rafting and trout fishing in Pahalgam valley. Lidder is one of the main streams of valley, besides which Lidder Palace hotel has been established. Under the theme of natural beauty, it is a magnificent place to live in Kashmir valley. Ancient look, modern facility, and stunning view of Lidder River make these accommodations exceptional in Jammu and Kashmir. 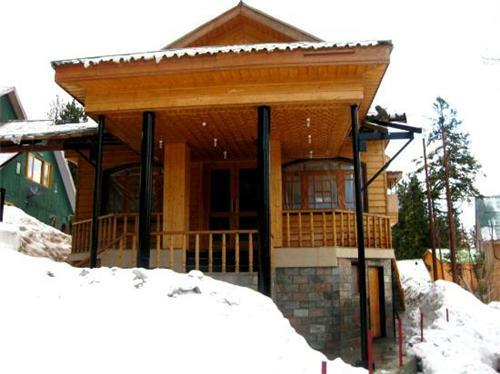 Apart, it is placed in the vicinity of renowned locations of Pahalgam. Gulmarg is one of the flourishing tourist spot which remains packed with tourists, especially in summer. It is difficult to have cheap accommodations at this destination. 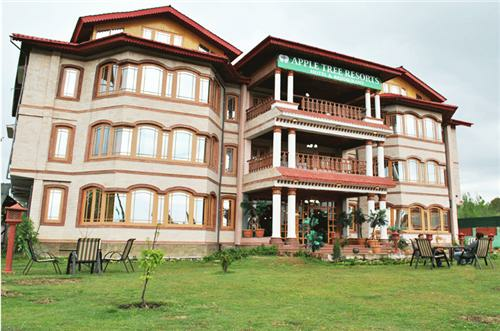 But still one could get cheaper rooms at Apple Tree Resort located on Srinagar Gulmarg road. It is nearer to major tourist spots like Masjid Shareef and Shiv Mandir. Beautiful sights can be viewed through each unit. It is located 39 km away from Srinagar Airport while Pattan railway station is just 21 km away from this hotel. For travelers looking for leisure facilities with affordability can easily take accommodations at Swiss Hotel in Srinagar. Though surrounded by the mesmerizing Dal Lake, it resembles the wonderful view of Zabwarwan Hills all through its venue. This hallmarked place has created niche in the field of hospitality by giving outstanding amenities and facilities such as heated rooms, wifi, power backup, comfortable furnishing and lavish interior. Mughal garden, Pari Mahal, Tulip Garden, Nishat Garden and Shalimar Garden are nearby places that are approachable from this venue. The airport is nearly 14 km from hotel while bus station is 2 km away. Along with its rejuvenating services, Hotel Affarwat offers you mesmerizing stay in its ethnic structure. Its vintage beauty offers delightful stay with famous ski points and Shiv Mandir of Baramulla located nearby. It also has Khilanmarg, Tanmarg, Avantiswami Temple, and Apharwat Peak in vicinity. The hotel offers comfortable stay with in- house multi cuisine restaurant, coffee shop, room service, and 24 hour concierge desk. 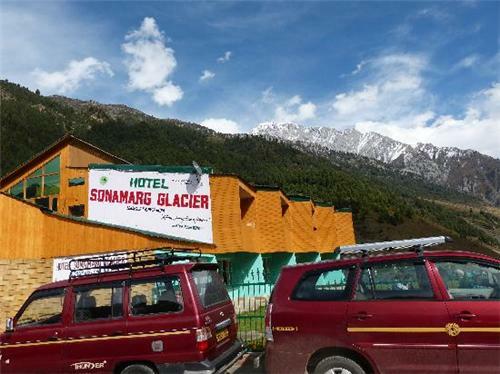 Against the backdrop of mighty mountains, this hotel is a preferable staying option in Sonamarg. It is low priced but offers plethora of services to the tourists. It has well maintained rooms enriched with facilities like internet facilities and running hot/cold water. Also, they offer round the clock room service and laundry services. Meadows Resorts and Hotels offer you an enchanting stay in this exuberant place. It has 11 well appointed rooms with wooden architecture. This gives you glimpses of the country side in this hilly region. It offers facilities like free breakfast, parking, ski in/ out, and airport transportation. To fulfill the demand of luxurious and affordable accommodations in Katra, Hotel Om Karan Residency has established its stay facilities near the holy shrine of Maa Vaishno. It is 3 star hotel located on main Railway Station Road endowed with plush rooms and amenities. Safe deposit and clock room is also offered to devotees to keep their precious belongings safely. It is easy to locate from newly inaugurated railway station and also provide proximity to entrance of Vaishno Devi Shrine. It is very conveniently placed and well equipped hotel of Leh. It has 15 rooms well furnished to offer you perfect comfort within your budget. The hotel offers travel assistance and warm hospitality in the chilling environment of this region. It has proximal distance from Shanti Stupa, Sankar Gompa, Sindhu Ghat, and Leh Palace. It has a multi cuisine restaurant offering Indian and Chinese dishes to their guests. One more luxurious 3 star hotel found at the heart of Katra city is Jai Ma Inn Hotels. It is well established in the proximity of Maa Vaishno Devi Shrine in Katra. The Hotel has its existence near the banks of River Banganga which adds to its wonderful ambiance. The Darshani Dwar of shrine is just 1 km from this venue while Himkoti is approximately 2 km away. Charanpaduka as well as Baba Dhansar are also located in vicinity which are not far to visit from here. Well decorated rooms, fabulous food, blissful amenities are the key features of Jai Ma Inn Hotels in Katra. The state is enriched with enchanting views at every step. Such exquisite beauty of Jammu Kashmir allures all classes of travelers to this land. As such, it has many 4 star rated hotels to serve elite class of travelers. Gulmarg is one of the most romantic locations in Jammu and Kashmir. It holds attractions that mesmerize tourists and couples coming for sheer enjoyment. To accentuate the leisure of vacations, Hotel Vintage Gulmarg is the best location to stay in the town. It is a fine accommodation in the lap of nature crafted with luxury and comfort. Leisure spa, business center, and exquisite dining enhance the living experience of visitors. Easy accessibility, magnificent views, and vicinity to key locations of Gulmarg are highlighted features of Hotel Vintage. As name suggest, its interior showcases the magnificence of Kashmir’s history. Patnitop is hard to visit, but it is an awesome place to visit in Jammu Kashmir tourism. 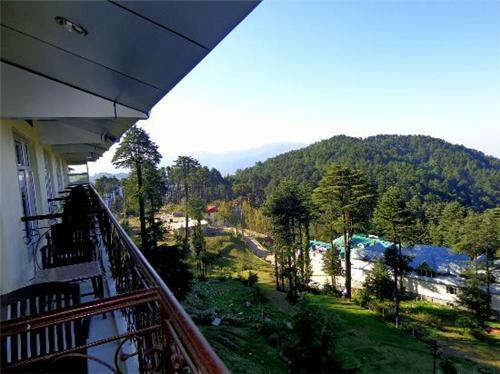 Hotel Samson located at Patnitop offers magnificent accommodations to the visitors. It is a marvel of hospitality at this place. Hotel Samson is an apex hotel countered with plethora of services to satisfy their guests. Excellent service staff and beautiful surrounding add to its significance. Breathtaking views of Pir Panjal valley can be easily watched through its wide windows while having sip of coffee. Natural surroundings can be thoroughly enjoyed at lush garden and bon fire terrace of Hotel Samson. Naag temple, Natha Top, Maan Talai, Sanasar meadow, Gauri Kund, Sudh Mahadev and numbers of picnic spots are easily approachable from this venue. 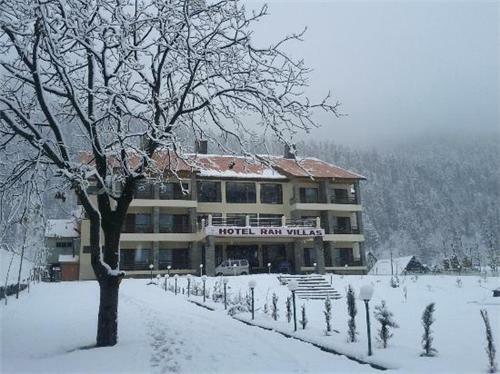 Hotel Rah Villas is a dignified place to stay in Sonamarg while arriving for tourism. It is 4 - star hotel with all exquisite facilities to gratify travelers. It has well appointed 25 suites that are enriched with lavish interior and fine services. Located in the Rezan Kullan region, it is situated approximately 230 km from Srinagar airport. It is placed on Sonamarg-Srinagar highway in the midst of lively nature. Along with relaxation and soothing experience, the hotel endeavors real enthusiasm to enhance joy and happiness of the travelers. Kargil is a difficult place to arrive for tourism. It is equally hard for survival. Hence, hotel Siachen scores on top in the list of hotels of this region. Hotel Siachen offers decent accommodation along with wide facilities for comfortable stay in hard conditions. It is open style hotel that provide glimpses of local market along with soaring mountain ranges that are located against the backdrop of a laid back hilly town. Old market place, taxi stand, and other important places are effortless to approach from this hotel site. Being the winter capital, Jammu is one of the prime centers of tourism. It is door of Kashmir Valley. Hence lots of establishment for travelers are found in this particular area. 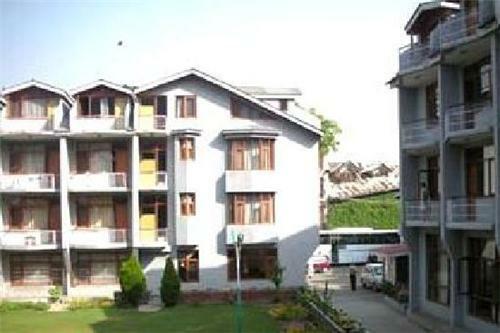 Fortune Inn Riviera is one of the main hotels of Jammu and Kashmir. It is located on the banks of River Tawi, near Jammu airport and it accommodates lot of international travelers as well. It is placed in heart of city making it easy to reach every corner of Jammu. Mubarak Mandi Palace, Bahu Fort, Raghunath Mandir, Amarmahal Palace are some of the main attractions found in the vicinity of this hotel. Staying in Hotel Pine Spring would really enhance the enthusiasm and rejoice of people visiting Gulmarg in Jammu Kashmir. This hotel remains packed with travelers throughout the year due to its exclusive services and surprising amenities. Maximum use of wood make ambiance more warm and cozy for visitors. Snowfalls and breathtaking views look magnificent through its wide windows. It is easy to enjoy Gondola ride which is in vicinity of Hotel Pine Spring. Country Inn & Suites By Carlson is one of the lovely places to stay in Katra region near Jammu city. Situated in middle of Himalayan ranges, it displays wonderful views of natural surroundings. Living here is simply superb and people feel quite close to nature while accommodating here. Well designed rooms, spectacular views, club area, and rejuvenating facilities take it apart from all other hotels of Jammu & Kashmir. It is quite suitable for people coming for pilgrimage of Vaishno Devi Temple. Located 5 km away from Jammu Airport, Hotel Asia Jammu Tawi is one of the finest hotels in the region of Jammu. It is established with features of 4 star rated hotels. The latest facilities offered in this hotel include coffee shop, bar lounger, banquet hall, boutique, restaurant, and spread out parking. It is also providing lavish facilities like unisex gym, wifi internet, room services, pickup facility, etc. The most significant part of this 4 star hotel is Yangtse, Chinese restaurant and Pavilion Indian restaurant. Hotel 17 Miles is a well developed staying option available on the Pathankot highway in Jammu region. As a four star nominated hotel on most of the review sites, Hotel 17 Mile is offering exuberant facilities with the help of proficiencies such as high speed internet, swimming pool, shopping arcade, laundry service, and spa facilities. For business travelers they are providing conference room along with business center facilities. The hotel is located 20 away from Jammu airport as well as railway station. Hotel provides pickup facility from both points of arrivals to their guests. 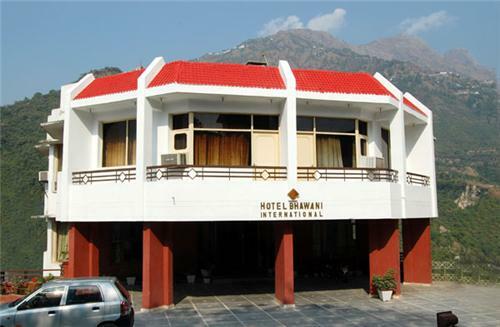 Tourists looking for grandeur stay must take accommodations availed at Hotel Devi Grand in Katra. It is 4 star rated hotel engraved with decked atrium, soothing ambiance, lifestyle suites, and decorated lobby area. It is altogether an awesome experience living in Hotel Devi Grand in Katra. It is placed approximately 50 km away from Jammu airport and stroll away distance from Katra railway station. Ayurvedic spa with sauna & steam, handicraft boutique, swimming pool with jacuzzi, pool side dining, and multi cuisine vegan restaurant are few of the highlighted facilities offered in Hotel Devi Grand. 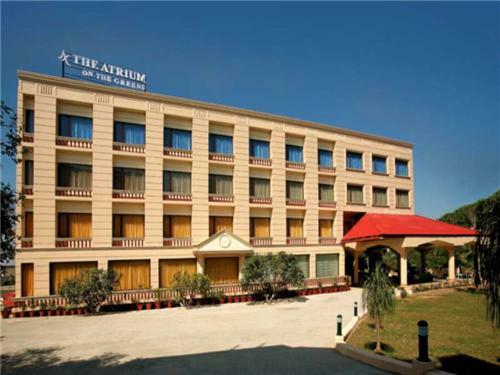 Magnificently crafted on serene of Vaishno Devi shrine, The Atrium on the Greens is one of the blissful 4 star hotels in the region of Katra. It is located 12 km from the holy shrine and only 2.5 km from Katra railway station. In house diversified restaurant, spa, and lush lawn make living more astonishing for devotees. Mesmerizing views of valley from balcony and door opening of all sixty rooms towards huge atrium of hotel is the unique feature to watch out at Hotel Atrium on the Greens. 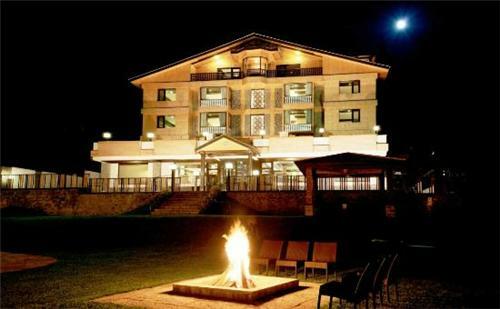 Nedous Hotel is one of the oldest and finest hoteliers in the region of Gulmarg as well as Jammu Kashmir. Since 1888, it is providing uninterrupted hospitality services in the Kashmir valley with significance of luxury and comfort. This heritage hotel is found interesting by many history enthusiasts and adventurist travelers. Today, Orchard villas are also made along with old construction to accommodate huge flow of travelers. Nedous dining hall is one of the key places of hospitality that attracts people all over the region. 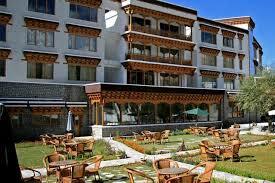 The Grand Dragon Ladakh is one of the distinguished 4 star hotels in the region of Leh. It is magnificently established in the lap of nature to satisfy elite and sophisticated guests visiting this region. The hotel offers splendid view of mountains and valleys of Ladakh region which is also called as cold desert. People can see bounty of nature through its rooms and suites. They can feel the clean and unpolluted air through its wide windows and live through the cleanliness it offers. It is also best place to organize business meets and seminars for business executives. Hotel Lasermo is the place where even celebrities love to stay during their vacations. 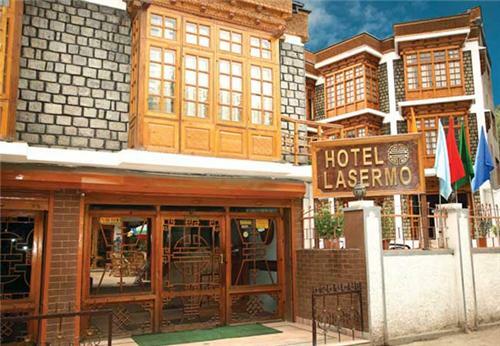 Due to its unmatched hospitality, significant facilities and classic amenities, Hotel Lasermo has become the highlight of town in the small span of time. The charm of place and accessibility makes it even more alluring for travelers. Sightseeing and pickup facility is offered with premium services to guests seeking extra luxury of living. They also arrange tour packages for visitors and make sure complete comfort of journey while coming in this part. 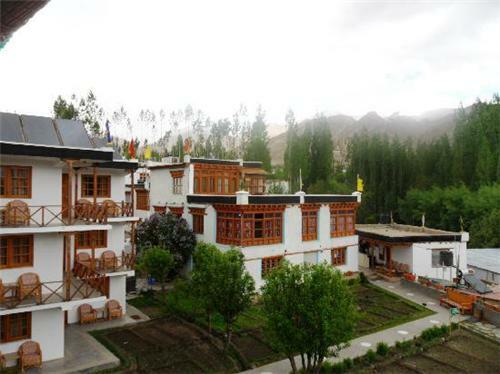 Travelers looking for true services of hospitality along with touch of ethnic Ladakh culture must take accommodations at Ladakh Residency in Leh. The entire premises are decorated keeping traditions of Ladakh. Even serving persons are also dressed in local costume to give feather touch to hospitality. Apart, there is no compromise on comfort. Latest and proper furnishing is installed to give superior living experience at Ladakh Residency in Leh. The décor is also lovable which display the heritage of Ladakh. Sound of murmuring stream that flowing nearby makes living more exciting at this venue. Jammu Kashmir is the beauty personified in its truest sense. To cater their demands, the state has all categories of accommodations ranging from budget to 5 - star. 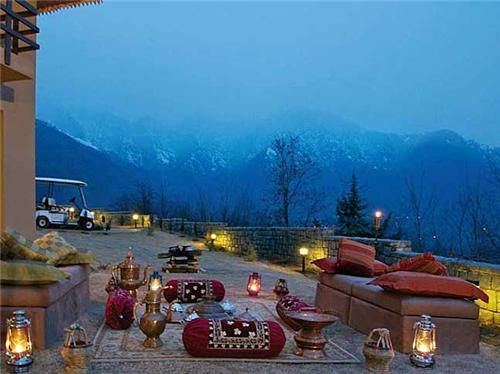 For sophisticated travelers, there are many well renowned hospitality groups present in Jammu Kashmir. These hotels are pricey in tariffs, but they offer plethora of amenities and impeccable services to their guests. From multi cuisine restaurants to pick and drop facility, they offer every high end service that you seek in luxurious staying options. Exquisite places are created not made. With such significant thought, Hotel Vivanta has been planted in the valley of Kashmir. 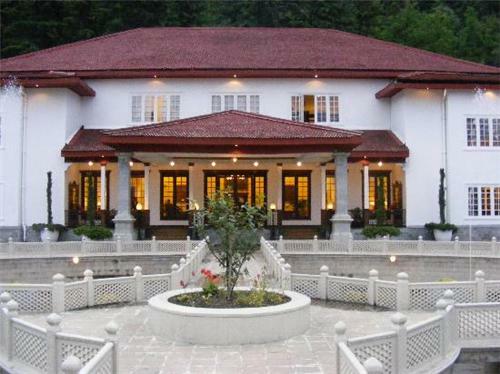 It is a luxurious 5 star hotel located in the serene of Srinagar. The majestic views and magnificent ambiance are the prime features of Vivanta. It is located twenty kilometers away from airport of Srinagar that is easily approachable through highway. It is mostly popular for its incredible Dal view, which is simply fantastic. 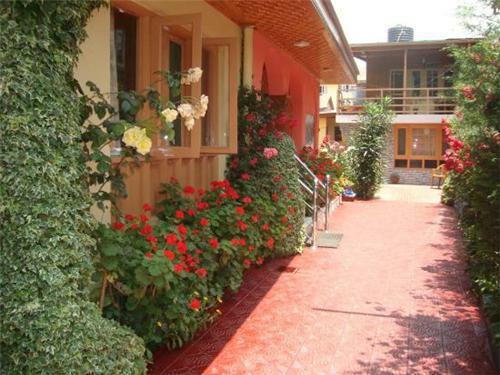 Spread over six acres, it is delightful place to live in Jammu Kashmir. Wine & dine, spa treatment, and exclusivity are the key attractions of Vivanta. Leh is lavishing location of tourism that draws hordes of travelers from around the world. Gomang is an exquisite boutique hotel in this pristine location. Crystal clean rooms along with attached lavatories make it an exquisite place to stay in Leh. Comfort of luxury and mesmerizing location endow Gomang with utter significance. It provides good connectivity to Kushok Bakula Rimpochee Airport located in Leh. Being situated amidst this region, it is hardly 2 km from bus station and 3 km from airport. With supportive staff and good management, it is one of the best staying options in the state of Jammu Kashmir. Undoubtedly, Pahalgam is one of the prime locations of tourism in Jammu Kashmir. Originally, the town was called as shepherd village but now it has become a tourist centric place. Hotel Senator Pine N Peak is one of the stylish places to live at this location. In fact, this hotel offers memorable stay for couples and families looking for precious moments to spend with each other. The décor is fully done to accentuate enthusiasm of visitors along with services like multi-cuisine restaurant, barbeque special restaurant, gymnasium, heated pool, and other unwinding facilities. Beetab valley, Aru valley, Baisaran, and Mamleshwar Temple are easy to locate from this hotel. 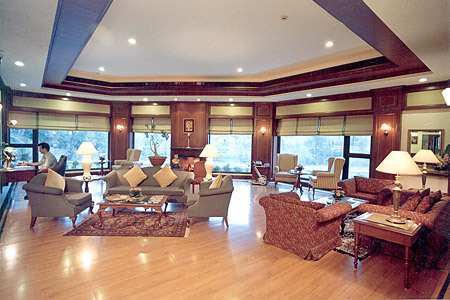 A royal treatment and luxury lifestyle has been engraved for the travelers at the Lalit Grand Palace in Srinagar. Encompassed in beautiful serene location, Hotel Lalit Grand Palace offers grand stay to visitors with elevated facilities of this mesmerizing venue. The grand entrance, wonderful garden dotted with trees, rows of flowers, and exquisite white building against the milieu of soaring mountains makes this stay a distinctive one for guests. Built during the time of Maharaja Pratap, it showcases the real heritage of Kashmir along with its traditional hospitality. The palace has 113 rooms fully furnished and exclusively decorated for visitors. Srinagar airport is just 18 km away from this hotel that provides easy approach to travelers. The city of temples holds one of the landmark names in hospitality industry, the K C Residency. 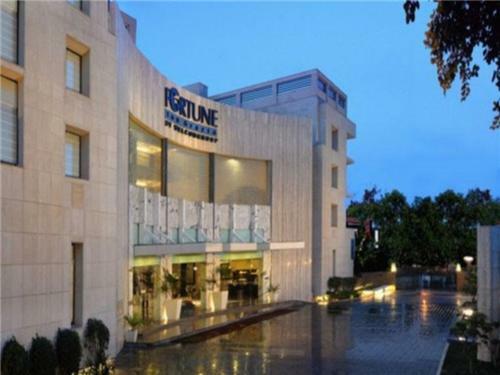 It is a 5 star rated hotel located in the region of Jammu to enhance the experience of lodging in this city. Soothing centralized air conditioner along with plush interior of hotel mesmerizes every guests coming here. Accommodations are available in form of executive class rooms and suites to suit their clients. Continental plan is offered across the range of all rooms offered by them. It provide travel desk help, car hire service, parking lot, banquet facility, conference rooms, multi cuisine restaurant and other similar amenities to visitors. Gulmarg in Baramullah is one of the highlighted places of tourism. 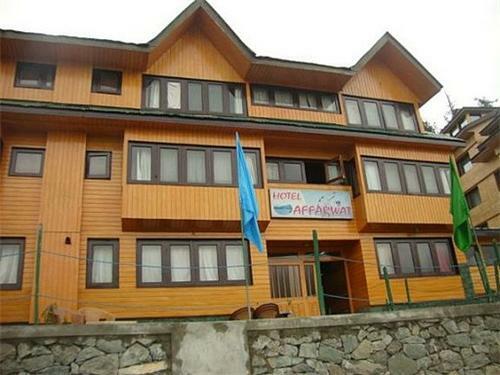 Hotel Hilltop in Gulmarg is well established to satisfy the need of luxurious accommodations for travelers. The hotel is well incepted with 40 well appointed rooms with flurry of services. Eighteen hole golf course and Gondola cable car found in vicinity are the main highlights of Hilltop Hotel. It is situated at the distance of 53 km from Srinagar which serve as exit and entry point for travelers all around. Its lavish interior nicely blended with wooden work is real thing to watch for. Hotel Zen Ladakh is an exotic place to stay in Leh region. It is beautifully made with luxury of comfort and amenities to capitalize huge flow of tourists in this part. The hotel located 5 km away from airport while its main market is just at strolling distance. It is highly recommended to visit local market to collect some exclusive tribal handicrafts for home. Heated and covered swimming pool is offered with dining facilities as well as activity center for complete stress busting for visitors. Suites and Cottages enabled with latest and modern facilities are offered in accommodations for guests.